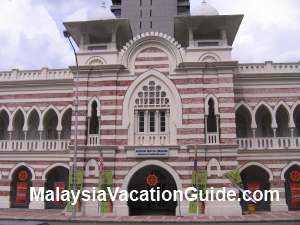 Malaysia Textile Museum is located beside Sultan Abdul Samad Building and opposite Merdeka Square in the capital city of Kuala Lumpur. This museum is housed in a Moghul-Islamic architecture historical building and was opened to the public on 9th January 2010. The entrance to Malaysia Textile Museum. This two and a half storey building was designed by A.C. Norman, a British architect and the construction of the building was completed in the year 1896. Notice the onion-shaped domes on top of the building. The British was the colonial master of this place during that time. 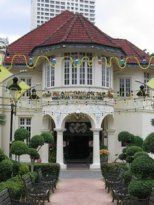 This building was formerly part of the Federated Malay States Railway Station and then an office of the Selangor Works Department. 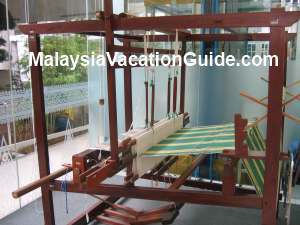 The making of textile machine at the compound of Malaysia Textile Museum. Admission to this museum is free of charge and plan to spend about 1 to 2 hours going through the galleries which are located at the Ground Floor and the First Floor. A Gift Shop and Cafeteria are located on the Ground Floor if you want to get some souvenirs or simply taking a break from your tour of this place. In total, there are for permanent main galleries and one thematic exhibition. There are about 18 exhibits that you will see as you go around this gallery. Textile Evolution. Look and try the touch screen interative video to learn more about the exhibits at this gallery. Pua Kumbu, an Iban Ceremonial Cloth. Beaded Collar & Beaded Shoes. Stitching & Tie and Dye Technique. The olden day invention that was used to make the textile. 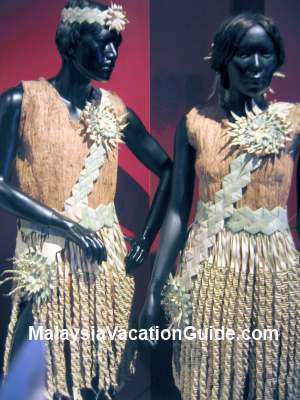 This exhibit showcase the textiles from various ethnic groups of Sabah and Sarawak. 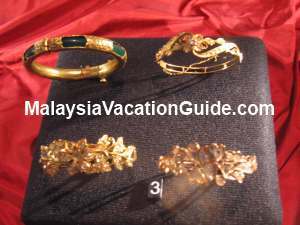 Also display works by the Baba & Nyonya, Indian Textile, Batik and the evolution of textile in Malaysia. Tie and Dye Batik & Hand Drawn Batik. 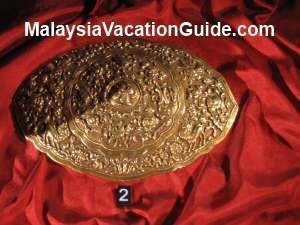 A Nyonya-Baba belt buckle used during the Straits Settlement period. Tobacco Box & Modesty Disc. Indian & Mah Meri Attires. Malay & Baba Nyonya Attires. This is a thematic gallery and the exhibits here changes from time to time. Monday to Sunday: 9:00am to 6:00pm. Closed on the First Day of Hari Raya Aidilfitri and Hari Raya Aidiladha. 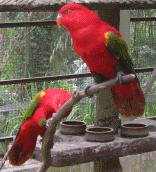 You can also request for a free guided tours. 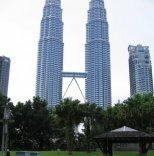 If you are coming in groups or on a school study tour, make prior arrangement with the Department of Museum, Malaysia. This museum is easily found and there are LRT trains, buses and taxis that ply this area. 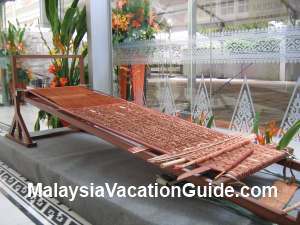 You will find that many tourists go to Dataran Merdeka to take photos organized by tour groups but not many know about this museum except for individuals who come here on their own. 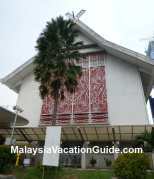 The best way to come here is by taking the Kelana Jaya Line or Ampang Line LRT and stop at Masjid Jamek Station. Alight and take a 5-10 minutes walk towards Jalan Raja. You will pass by Sultan Abdul Samad Building. The other landmark to look out for is the 100m flag pole which is located at Dataran Merdeka.